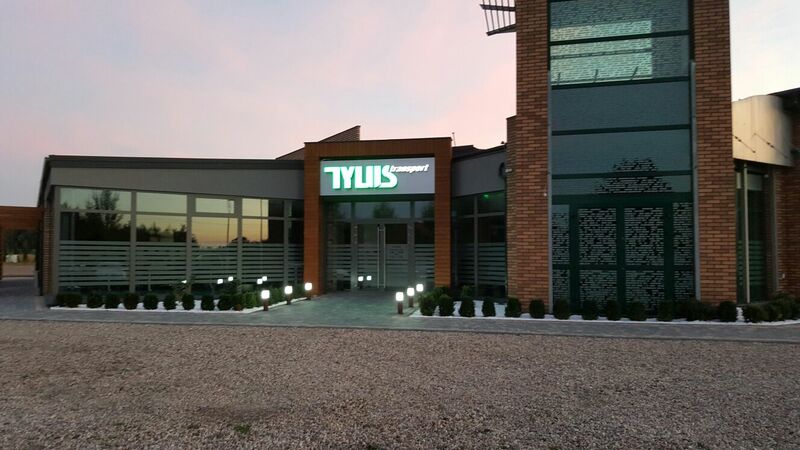 TYLUŚ Transport, based in Buczek, 40 km from Łódź, is a very dynamically developing company in the international transport of sea containers, which is on the market for almost 30 years. In 1990 Mariusz Tyluś started his business as the driver of the first truck. As a modern company, we operate according to the requirements of the modern market. Currently, we have a modern and technologically advanced fleet of 40 trucks equipped with genset and telematics – Transics to ensure a fast exchange of information between drivers and dispatchers in the office. This has led to increased road safety, greater efficiency of drivers and vehicles, and a reduction in negative environmental impacts. Ecological activities are a key element of corporate strategy. We pay special attention to standards and regulations regarding exhaust emissions and air pollution, which is why we are gradually replacing our vehicle fleet. Currently, all vehicles comply with the emission standards Euro6 and EEV. We specialize in the transport of sea containers of all kinds and since 2011 also refrigerated containers / reefer – with active temperature control of the goods. In addition to standard shipments, we also handle special transports, including hazardous materials under the ADR Convention. Professionalism and experience are not only our philosophy but also the key to our success. Our advantage is the many years of activity in the market, thanks to which we have the knowledge and experience that is reflected in our services at the highest level. We employ a qualified and competent team of freight forwarders with English, German and Russian skills, as well as drivers with many years of experience in international transport.